We work with our clients in a personalized manner that is customary to each individual’s need to work towards whole health through right action and regular practice. Take your personal health spectrum to a whole new level through engaged and regular routine fitness training. Over time our bodies change. Fluid levels affect the health of organs, tissue and cartilage. By working with a Gravit8 personal trainer you will be making a commitment to a greater range of motion and endurance, active health, ease of mobility, strength training, and overall wellness. Our private studio is equipped with time-efficient and effective *GTS Gravity machines providing full-body strengthening workouts. The GTS system works with the gravity inside your body to actively engage muscle memory. Personalized training sessions can benefit the client that has experienced signing up for a gym membership and not utilizing it. There is no pressure of the group workout environment. At Gravit8 you follow a program specifically created for you. 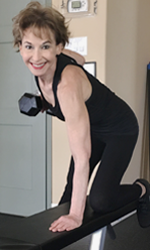 A program to motivate and keep you on the path to realizing the potential your body has, at any age, for increased mobility. Movement stimulates circulation, strength and our ability to meet life’s needs and demands to be healthy. 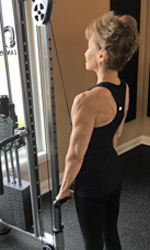 Our exercise regimes are geared to build upon and expand your abilities, so while our studio setting Gravity machine meets the needs of beginners, more experienced athletes can also benefit by increasing the incline to provide a challenge. Even highly dedicated and motivated fitness focused individuals will benefit from the introduction of new instruction. 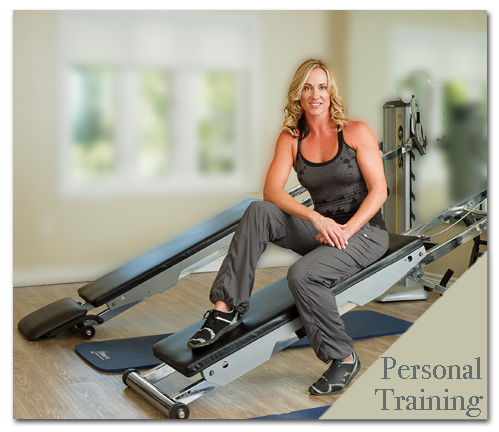 We offer the benefit of renting a GTS system for your home, offer training sessions remotely, and instruct clients to use body weight as a benefit. 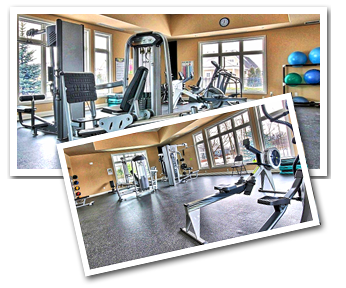 All services of personal training, small-groups, large groups or one-on-one, are available to all members of The Bridgewater Athletic Club. We are very fortunate to live in the Niagara area where extensive park spaces and Friendship Trails are within reach and available to us. While doing our various workouts, such as biking, power walking, and strength training, we can enjoy the great outdoors with programs built to our specific needs. Do you have a home gym? Even if you don't, we can come and work with you and develop a program that will suit your lifestyle and help you reach your fitness goals without leaving the comforts and privacy of home. There’s no gear to be packed, car keys to find and no drive to the gym, (in the snow) so you’ll be saving time! Your trainer will arrive on time with everything needed for your workout - you’re ready to roll! Welcome to Gravit8 online fitness training. Feeling good starts with dedicated activities to get your body mobilized and active. Gravit8 works on an individual needs basis towards training goals for optimum health with a planned regimen. The safest and most effective way to start on a journey to self-dedicated results is by committing to be active through professional care and instruction. At Gravit8 we encourage activate routine and working with your body at your own rate. We focus with our clients on using the body and mind to build strength and balance in the body and mind. 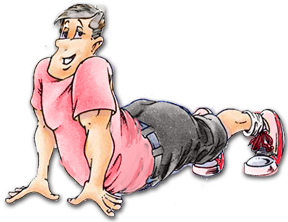 Rewards come from dedication toward regular mobility training benefiting overall health and mood. Gravit8 towards wellness. 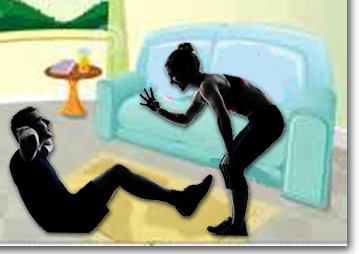 Improve health and vitality by taking action through our train at home program. Start your personal journey today. Make the commitment to yourself. Email info@gravit8.ca for inquires or to set a personal service call to action. Welcome to online training. 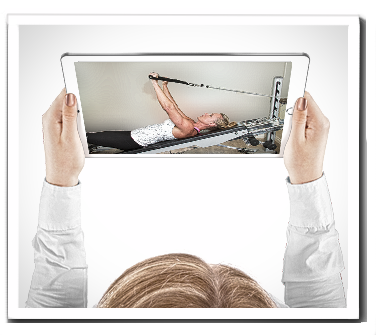 Here you can sign up for our fantastic trainerize system. Buy it now! Regular physical activity is beneficial to everybody’s long-term mental and physical health. Exercise can help you manage existing diseases or disabilities as well as ward off future difficulties. It’s never too late to start exercising. Even if you start tomorrow, you will reap the benefits of a longer, fuller, and happier life. Exercise will make you look better, your brain will be quicker, and you will have energy to spare. So, why are you waiting? The potential for Alzheimer's disease, osteoporosis, diabetes, obesity, heart disease, and some cancers can be reduced by an active lifestyle. Exercise can improve blood pressure and bone density results, and is also beneficial to immune and digestive functions. As you age, your metabolism slows, you lose muscle mass, and your body at rest burns fewer calories. 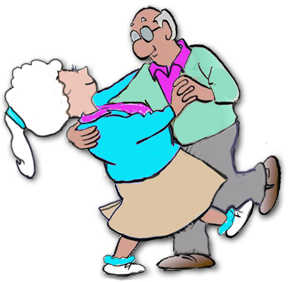 So exercise is advantageous to seniors in reaching and maintaining an optimum weight. 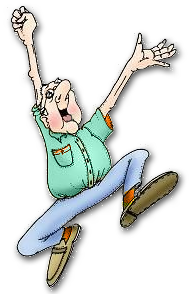 As we age, most of us have an innate fear of falling. We frequently hear of slow-healing broken hips, legs, arms, etc. You can do your best to prevent this happening to you by exercising. With flexible limbs, improved posture, strength, and flexibility come balance and co-ordination. Who doesn’t feel better after a long walk, run or workout? It’s a proven stress reliever. Less stress leads to less anxiety and more happy! More endorphins! Exercise tones, strengthens and reshapes your body and we know that naturally results in a huge boost of self-confidence. Regular exercise helps alleviate anxiety and stress which might interfere with a good night’s sleep. 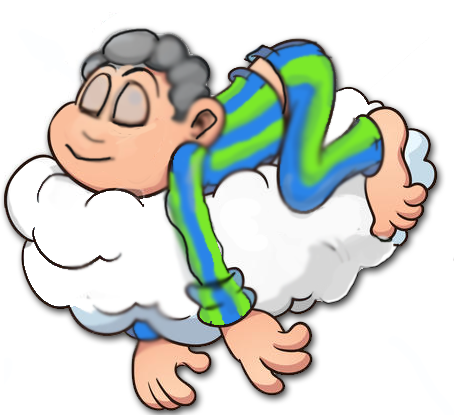 Sleep plays a vital role in good health and well-being throughout your life. You need quality sleep, and getting enough of it at the right times can help protect your mental health, physical health, quality of life, and safety. BUT exercise increases heart rate, which pumps more oxygen to the brain. 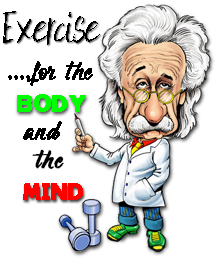 Exercise is also involved in hormone-releasing which helps in the growth of brain cells. regular physical exercise can reduce your risk for developing Alzheimer’s disease by up to a stunning 50%. Click on Einstein for more information from the Altzheimer's Research and Prevention Foundation. Four years ago travel vaccinations all but destroyed my immune system and caused my internal organs to begin shutting down. I suffered a total loss of energy and strength. I undertook a variety of different treatment regimes and diets but still neither my energy nor my strength returned. I refused to give in to my body. 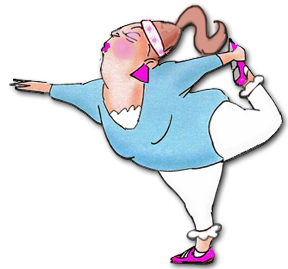 The elixir that I chose: EXERCISE. I am still battling the devastating effects of the vaccinations. My bone density ranges from the mid to low 40’s. However the more that I exercise, the better that I feel. I have more strength, flexibility, energy and vitality now than when I was a teen. I am 64. People who have known me for decades comment that I keep looking younger and younger, or that I have not changed. People tell me that I have beautiful skin and that I radiate.After being invisible for years I am now receiving compliments f rom both men and women. The secret: renewed confidence and self esteem. I am looking forward to the next thirty years and a new life that I shall shape. Tara is amazing! Knowledgeable, experienced, caring, understanding and patient. She is a motivator and an energizer. She is relentless. She will not give up on you, and most importantly she will not permit you to give up on yourself! 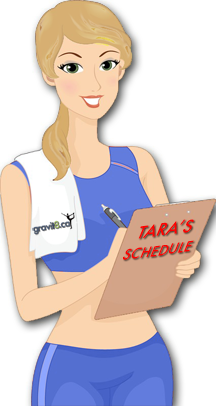 Tara is an investment in your health, happiness, self esteem and quality of life. She is a wise investment in your future. Working with Tara has been one of the best things I’ve ever done for my physical and mental health. I moved from Oregon to the Buffalo/Crystal Beach area during the summer of 2017 and ended up breaking my foot shortly after that move. 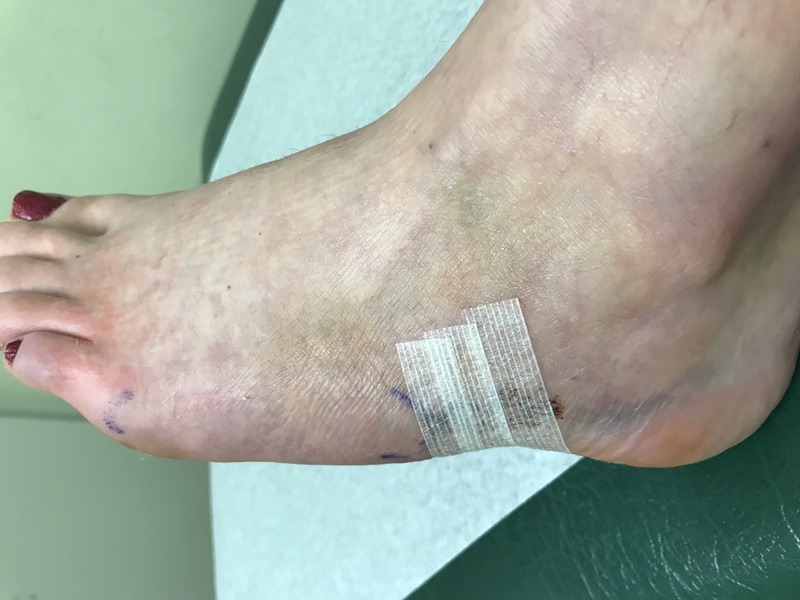 It turned out to be a terrible break that took almost 9 months to heal. A few weeks after I broke my foot my mom suggested I start working out with Tara to stay active when I wasn’t able to walk. Tara modified work out routines to accommodate for my broken foot and bad back. After a couple months of sessions with Tara I not only gained muscle but lost weight and a couple inches off of my waist, legs and arms. 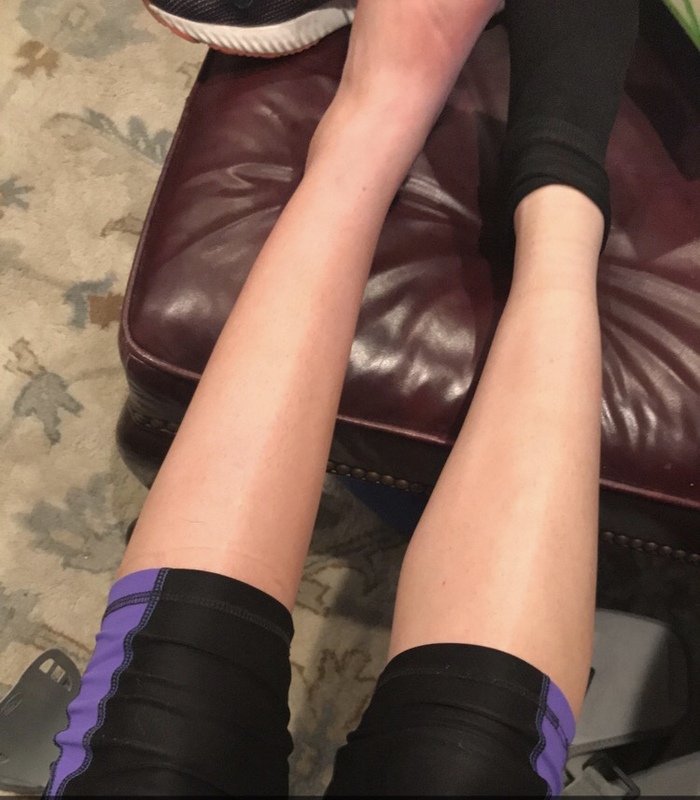 If you had told me that physical transformation was possible with a broken foot I wouldn’t have believed you. But it is and I couldn’t be happier! In the end I needed to go home for surgery (because of the type of break that I had) and Tara gave me workouts that I could do at home. I kept up with the work outs up until the night before my surgery. I can’t overstate the positive impact that working with Tara had on my physical/mental health during such a difficult time. It’s now summer of 2018 and my doctor told me that I can start running again. Tara and I did sprints on the track the other day and it felt so good. She’s helping me to build up the muscles that I lost when I wasn’t able to walk - It’s amazing to be able to see/feel progress every day. I cannot recommend Tara more enthusiastically. 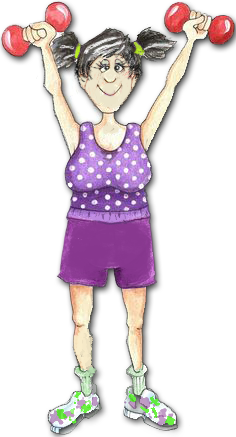 She listens, modifies and helps you achieve your goals no matter where you are when you start. I’m so grateful for this experience and so excited to see how much I can do moving forward.